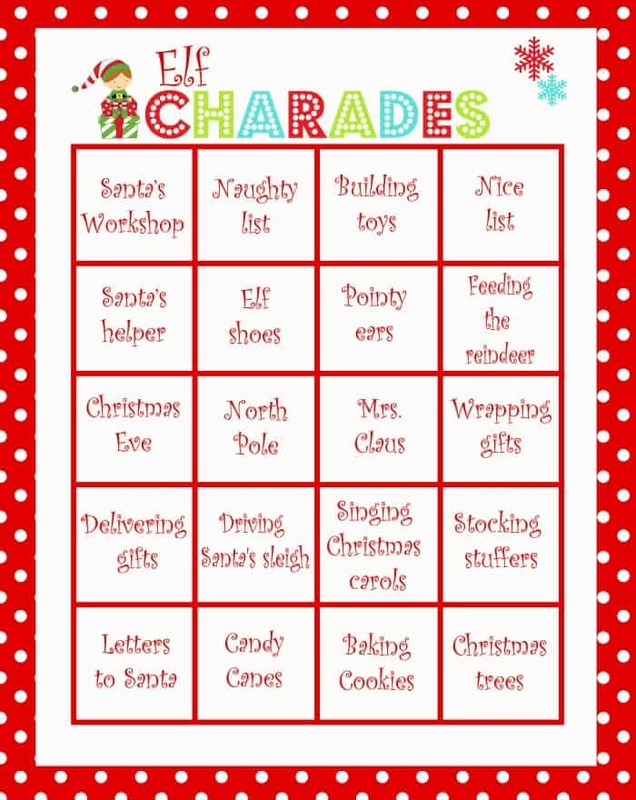 Free printable Christmas games are one of the most popular here on Moms & Munchkins & today we have a new freebie to add to that collection – Elf Charades! This would be a lot of fun to play as a family during the holiday season. Maybe your Elf On The Shelf could even provide some acting lessons to help you prepare for your new elf role! Playing the game is simple! Print off the free printable game (I’ll have a link where you can grab that at the end of this post), cut out the charades, fold them (no peeking! ), put them in a bowl & get ready to play. Split your group into two teams where each team takes turns choosing an actor to act out one of the charades randomly selected from the bowl. You’ll want a timer handy for this game too. This Elf Charades game is sure to cause some laughter – have that camera ready to capture some fun family holiday moments! This printable is available for FREE for our monthly newsletter subscribers! Signing up is free & easy. We have close to 8000 subscribers that enjoy the special freebies each month! Simply enter your email address, confirm your subscription, and you’ll be directed to a Thank You page with a link to the freebies page along with the secret password. This link and password will also be repeated in each of the monthly newsletters. Already registered but can’t remember the password – send me an email & I’ll help you out! Cannot wait to get the elf printables! Hello! These are already available on the newsletter freebies page. If you’ve already signed up but can’t remember the password, please send me an email and I’ll help you out. Thank you!